Remember that post I wrote for Tasha Does Tulsa? Well, I have some new finds to add to my collection of awesome flea market treasures. Notice the little hand trying to steal my goodies? The thing I'm most excited about from my last trip to the Tulsa Flea Market was this beauty. My cat recently broke my old butter dish and I almost went out and bought another basic white one from Target but decided to hold off. I'm so glad I did! 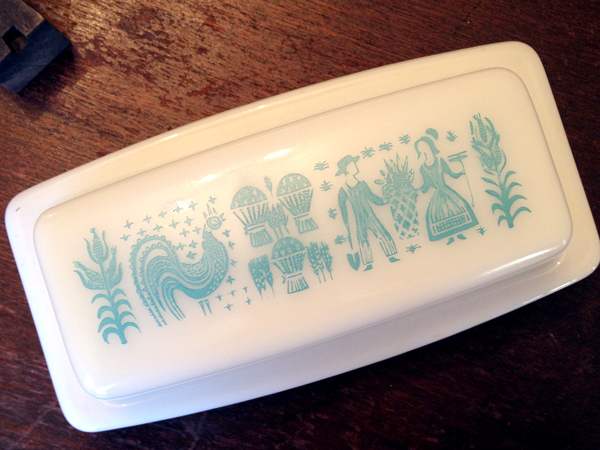 I have a few Pyrex pieces in this pattern, I think it's called Butterprint, and love that it's a butter dish to add to my little collection! And the best part, it was only $6!! That's even less than I was going to spend on a plain, boring white one! And my other favorite find of the day was an old wooden soda-pop crate. By the way, do you say soda, pop or coke? I say them all. Random. 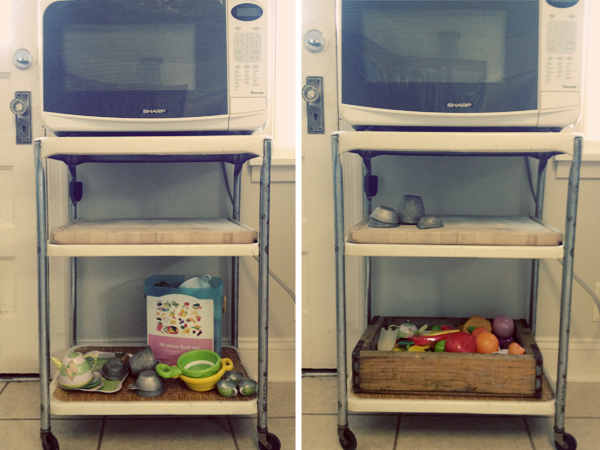 Anyway, I've been on the hunt for a crate to put Sweet P's kitchen toys in and the soda (pop, coke) crate was the perfect size to fit in my little microwave stand. Which, by the way, I haven't done anything to since I bought it. I couldn't decide if I wanted to paint it or not so right now it's the way I bought it. Back to the crate. I've seen a ton with the metal dividers but didn't want those because her toys were going in it. After months of searching, I found this little guy and he was a steal for $8. I think it's a steal anyway. I also liked the fact that it didn't have a brand painted on the box. So here's what the little area looks like before and after the crate. Do you think HGTV will be calling asking for decorating advice soon? Ha. It's the small things folks. Seriously, I really am very pleased with my little finds and am proud to give them a loving home. We say pop in Michigan :) Awesome finds! Love the butter dish and the crate. The color they use on that Pyrex set makes me happy. Love the butter dish and the crate. That's my kinda decorating! 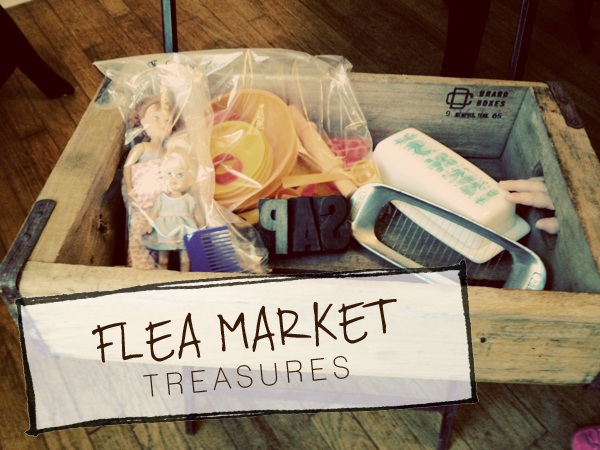 I want to go to a flea market! Let me go with you next time!! I say Pop, sometimes Soda. I never say Coke because I think of Coke as a Coca-Cola and I do NOT like Coke (Coca-Cola). I say pop. When I was 17 I worked at KFC and people would ask for Coke to drink and I would give them Pepsi because that is what we carried. It was all brown pop to me! No one ever complained luckily!